The user experience for smartphones has revolved around apps and its icon grid since the very first iPhone. Key mobile services on iOS and Android are delivered via apps in a fragmented manner and controlled by platform owners such as Google, Apple and Microsoft, which has put OEMs and Operators into a secondary role. Users deserve a richer, faster and unfragmented experience built around the things they do most on their devices. Scopes are a way of delivering unified experiences for various service categories, front and centre to the user, without hiding them behind a sea of apps and app icons. They are created via a simple UI toolkit with much lower development and maintenance costs than apps. There are two types of scopes – aggregation and branded. 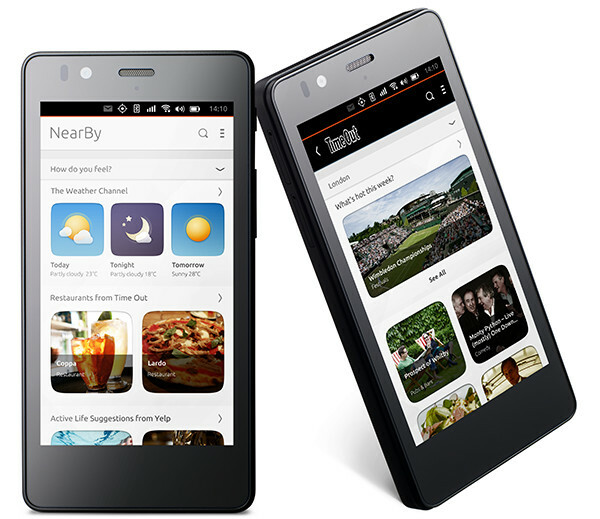 Aggregation scopes define the device’s default experience and what makes Ubuntu phones valuable to end users. They allow OEMs and Operators to create a user experience that is unique to their devices such as the NearBy scope that aggregates local services centered around what you’re doing. We’ll go into more detail on the other aggregated scopes in an upcoming Phone Glimpse mailer. Branded scopes are app like experiences delivered directly to the screen, fully branded. Discoverable through the default store, from a feed in an aggregation scope, or as a favourited default screen. A faster way for developers to build a rich and easier to access branded experience on a device. Actually it substantially predates that. Apps and icon grid were also found perhaps as much as a decade before the iPhone existed on PalmOS devices. Please don’t give Apple credit for inventing things in the iPhone that were anything but novel.